I cannot find any culinary professionals in my local area. What should I do? Make sure that you entered your search correctly. Make sure the city, state, or zip/postal code was entered correctly. If searching by city, try entering another nearby city name. If searching zip/postal code, try increasing the search radius. If you still are having problems locating a chef, try browsing by state/province. Specializing in making great meals ideal for family dinners or casual entertaining, a Personal Chef service is designed so the client eats healthier meals, has more free time, and enjoys his or her favorite foods – all prepared at home. It is hassle-free and affordable! For more information, view our “What is a Personal Chef?” section. A common misconception is that a Personal Chef service is only for the wealthy. Anyone who has a need to solve the “What’s for Dinner?” problem can hire a Personal Chef service. This may be people who are busy professionals, on the go, and people with special dietary needs. Anyone wanting to improve their quality of life through healthful, delicious, and nutritious meals, along with enjoying the convenience and free time the service provides, will hire a Personal Chef service. I made a contact request through hireachef.com and did not get a response. What should I do? When you filled out the contact request form, you should have received an e-mail from hireachef.com. This email has a specific link to a response form in cases where the chef does not respond to your request. Follow the link in the email and let us know. 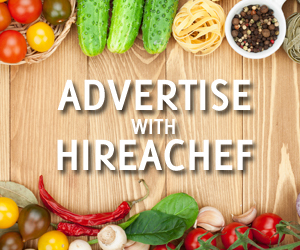 We will try to put you in touch with a culinary professional in your area. I am a Personal Chef or other culinary professional. How can I get a listing on hireachef.com? Currently, listings are only available to USPCA members. Learning from successful Personal Chefs is the absolute best way to become successful. The mistakes have been made, the proven methods have been identified and the knowledge gained will provide a solid foundation on which to build your own rewarding business. With the introduction of Personal Chef Services came the responsibility to create a solid, workable foundation on which this new industry would be positioned. The USPCA was aware that as founders, their duty included establishing guidelines and standards for Personal Chef Services to follow. 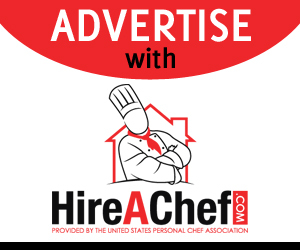 With this in mind, the United States Personal Chef Association was able to allow this new career field to flourish while maintaining and regulating the manner in which Personal Chefs conducted their service. Thanks to these efforts many years ago, clients from coast to coast can have confidence that service standards are in place and that all USPCA Personal Chefs adhere to these standards including a professional code of ethics. More than 60% of active Personal Chefs today are members of the USPCA — by far the largest and most well established association for these working professionals. The USPCA continues to set the standards and create guidelines as this industry grows. Regardless of membership in the USPCA, their career, functions and policies continue to be developed by the national office of USPCA. The United States Personal Chef Association has established nationally recognized educational standards of knowledge and is the only Personal Chef organization authorized by the government to administer the designations of Certified Personal Chef and CPC. This CPC designation is the only certification for Personal Chefs listed in the Federal Government’s employee certification database and the only certification program to have participation from the industry. The only certifications being used today by any Personal Chef is the Certified Personal Chef and CPC designations. Until such time the Federal Government establishes a unique career code for Personal Chef Services and adopts career path standards, the USPCA will continue to provide guidelines and policies aimed at maintaining the highest level of service, quality and integrity for those in the Personal Chef Service profession.